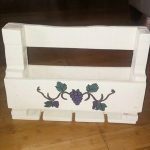 Trying to boost your knowledge about creative recycling of pallets? 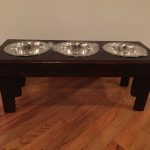 You are just on the right place, we are sharing most intelligent approaches toward pallet wood recycling on daily bases and hence you can collect a lot of use of plans and ideas to get the pallets useful again for your home! 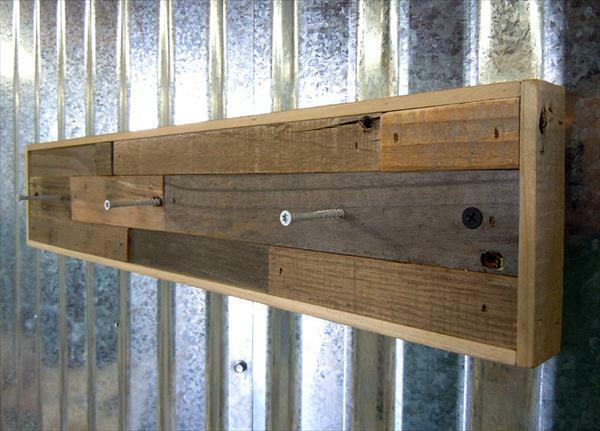 Using little scrap of pallets this DIY pallet coat rack has been achieved that is a basic concern while creating some functional statements of entryway or hallway walls! 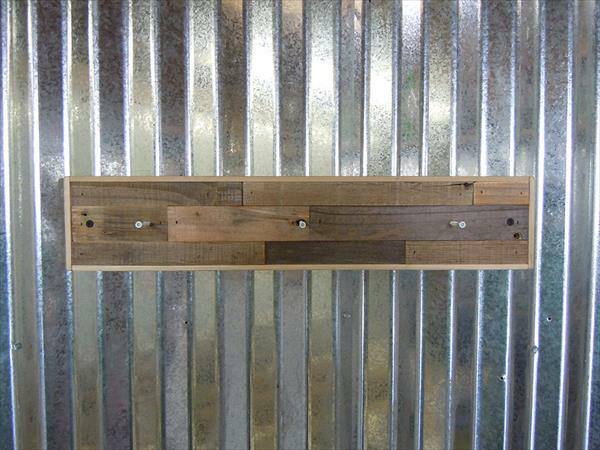 Build a hollow rectangular slim box by installing hand-picked pallet slats and then make it look solid through filling of more wood in a patterned way! 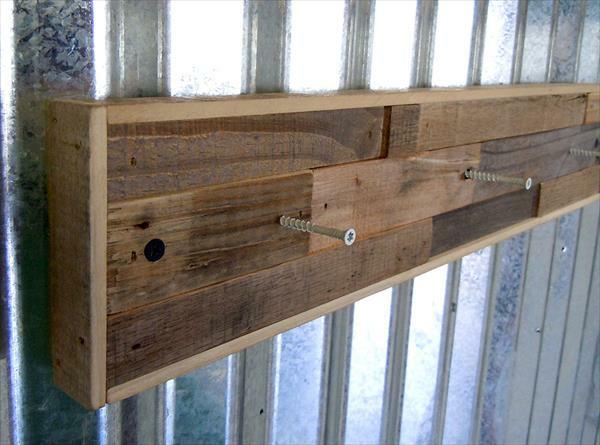 Add nails or screws or even the railroad spikes to use as hooks and just give a perfect wall mount to it on your favorite wall! Consult about the latest hardware hanging systems from nearby stores and just fix these handmade wall hooks on your favorite wall area!